Home to the three major automobile entities in the United States – GM, Ford and Chrysler – Michigan contains historic Motown (Motor City as well as the nexus of American Rhythm and Blues) as well as an enormous presence in America’s overall research corridor. XPO Logistics subsidiary and storied trucking fleet Con-Way Freight sees headquarters in Michigan, earning the state an important role in America’s commercial freight industry. As one of the major Great Lakes states, Michigan has enculturated many tourist destinations into its overall culture and economy as well, perhaps boasting this over other Great Lakes locations. Michigan’s geographic location has also made it a large point of entry for Canadian trade and cross-country commerce. Michigan is infamous for it manufacturing of automobiles and transportation equipment, so its no surprise that the trucking industry is a major sector driving its economy. But with agriculture and other manufactured goods adding to its exports industry as well, truck drivers are even more essential to Michigan's economy overall. Trucks also transport 90 percent of goods within the state and are vital to over 80 percent of its community's daily lives. With over 30,300 trucking companies serving the state, the US Bureau of Labor Statistic reported in 2011 that the trucking industry provided 177,360 of Michigan's jobs. Not only does this amount equal one out of 18 jobs, but Michigan also employs a wide variety of trucking jobs with an annual salary of $44,854, well above the national average and Michigan's standard cost of living. The Michigan Trucking Association is another good reason to become a Michigan truck driver. With its motto of “Safety. Service. Smart Business”, the MTA leads the states in dedicated representation of its truck drivers. In addition to its Share the Road Program educating communities to reduce the number of car/truck collisions and its investments in improved driver training, advanced technology and safety initiatives, the MTA's website http://www.mitrucking.org constantly updates Michigan truck drivers with the latest industry news. Michigan is certainly a great state for truck drivers and TruckDrivingJobs.com is the best on-line source for the latest available jobs. With the US automobile industry bouncing back and Michigan being the center of it all, its truck driving industry has all types of positions available immediately and the demand for drivers is only getting stronger. From local delivery positions to long haul interstate positions, the cities with the most truck driver jobs include: Detroit, Grand Rapids, and Warren. Whether you are already in Michigan or applying from out of state, an experienced driver or a newcomer, the state's trucking industry has a position for you and TruckDrivingJobs.com is here to help you find it. Not only do we give you immediate access to the most up-to-date comprehensive job postings from all over the state, we provide an on-line application process linking you to potential employers without wasting a minute. The job opportunities are waiting for you in Michigan and TruckDrivingJobs.com is here to assist you in getting them. The rest is up to you. All you need is Internet access and a wish list for your ideal truck driving job. Where in Michigan do you want to be located? Do you have a young family that needs you home each night or are you free to tour the country solo for weeks at a time? Is there a certain type of position you prefer or ones you are more qualified for? Are you willing to upgrade your endorsement and training to increase your options and earning potential? Once you determine these answers for yourself, TruckDrivingJobs.com has everything you need to start your customized job search and find your ideal truck driving job. Below are list of companies currently hiring within michigan. 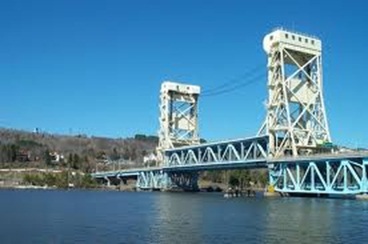 Call 231-845-8871Based out of Ludington, E & G Drilling Services owns 165 trucks and primarily transports Water - Well. Call 248-645-2000Based out of Beverly Hills, Oakland County Road Commission owns 435 trucks and primarily transports. Call 734-485-4855Based out of Ypsilanti, St Century Salvage owns 516 trucks and primarily transports Building Materials, Construction equipment. Call 269-684-3200Based out of Niles, A & J Rentals owns 790 trucks and primarily transports Machinery, Oversized loads such as Farm Mining or Oilfield equipment, Construction equipment. Call 989-762-5318Based out of Stanton, J & C Kunst Transportation owns 509 trucks and primarily transports regular Flatbed & Reefer loads, Logs, Poles, Beams, Lumber, Building Materials, Fresh Produce, Grain, Feed, Hay, Refrigerated Food. Call 989-225-3998Based out of Skandia, R & D Baker Co owns 880 trucks and primarily transports regular Flatbed & Reefer loads, various metals such as Brass, Titanium, Copper, Iron, Building Materials, Dry Van, Beverages, Paper Products. Call 810-765-5678Based out of China, P & D Transport owns 701 trucks and primarily transports regular Flatbed & Reefer loads, various metals such as Brass, Titanium, Copper, Iron, Logs, Poles, Beams, Lumber, Building Materials, Machinery, Oversized loads such as Farm Mining or Oilfield equipment, Grain, Feed, Hay, Farm Supplies, Construction equipment. Call 734-854-4777Based out of Riga, H & B Poured Walls owns 105 trucks and primarily transports Building Materials. Call 517-749-8622Based out of St Johns, B & G Transportation L L C owns 252 trucks and primarily transports regular Flatbed & Reefer loads, Logs, Poles, Beams, Lumber, Building Materials, Fresh Produce, Refrigerated Food, Paper Products. Call 313-891-7710Based out of Hamtramck, Th Street Deli owns 722 trucks and primarily transports Refrigerated Food. Call 734-671-0636Based out of Woodhaven, G & B Truck Lines owns 721 trucks and primarily transports regular Flatbed & Reefer loads, various metals such as Brass, Titanium, Copper, Iron. Call 616-847-9463Based out of Spring Lake, M & D Auto Sales owns 735 trucks and primarily transports Car hauling. Call 231-873-8072Based out of Walkerville, Zack Brothers Utility Contractors owns 337 trucks and primarily transports utility supplies. Call 616-891-5195Based out of Caledonia, L & J Transport owns 768 trucks and primarily transports regular Flatbed & Reefer loads, Toxic Materials. Call 517-592-6626Based out of Brooklyn, Xact Products owns 616 trucks and primarily transports STEEL STAMPINGS. Call 231-258-0417Based out of Kalkaska, St Choice Trucking And Rental owns 888 trucks and primarily transports regular Flatbed & Reefer loads, Machinery, Oversized loads such as Farm Mining or Oilfield equipment, Oilfield Equipment. Call 248-705-5184Based out of Hazel Park, Nagara Trucking owns 342 trucks and transports all kinds of freight. Call 248-935-8945Based out of Sterling Hights, E And B Transport owns 179 trucks and transports all kinds of freight. Call 734-654-6047Based out of Carleton, M & E Express owns 505 trucks and primarily transports regular Flatbed & Reefer loads, various metals such as Brass, Titanium, Copper, Iron, Grain, Feed, Hay, Dry Van, Farm Supplies. Call 810-735-8143Based out of Linden, O L Wholesale owns 964 trucks and primarily transports COMPUTERS. Call 517-263-1097Based out of Palmyra, E & S Produce owns 857 trucks and primarily transports Fresh Produce, Grain, Feed, Hay. Call 501-474-5291Based out of New Hudson, M & M Equipment Leasing owns 662 trucks and primarily transports Fresh Produce. Call 989-584-3921Based out of Carson City, A & C Carriers owns 75,766 trucks and primarily transports Petroleum Gas & Natural Gas, Toxic Materials. Call 231-861-2146Based out of Shelby, N J Fox & Sons Trucking owns 75,761 trucks and primarily transports regular Flatbed & Reefer loads, Fresh Produce, Refrigerated Food. Call 313-437-7606Based out of Howell, A & F Wood Products owns 75,080 trucks and primarily transports Building Materials. Call 248-887-3376Based out of Highland, Transport owns 146 trucks and transports all kinds of freight. Call 231-823-2952Based out of Stanwood, K & E Peterson Trucking owns 940 trucks and transports all kinds of freight. Call 231-544-6415Based out of Central Lake, G & D Express owns 147 trucks and primarily transports regular Flatbed & Reefer loads, Refrigerated Food, Beverages. Call 616-746-4561Based out of Galesburg, B & H Attractions owns 433 trucks and primarily transports Carnival equipment. Call 517-869-2706Based out of Allen, W C Klk Trucking owns 902 trucks and primarily transports Grain, Feed, Hay. Call 906-486-6686Based out of Champion, Auto Sales owns 693 trucks and primarily transports Car hauling, Machinery, Oversized loads such as Farm Mining or Oilfield equipment. Call 616-754-5408Based out of Greenville, K & K Wrecker owns 408 trucks and primarily transports Car hauling. Call 810-987-8042Based out of Grant Township, P & M Trucking owns 185 trucks and primarily transports regular Flatbed & Reefer loads, Automobile parts & supplies. Call 906-639-2849Based out of Carney, Z Xpress owns 152 trucks and primarily transports regular Flatbed & Reefer loads, Refrigerated Food. Call 517-725-9436Based out of Owosso, G & C Transport owns 832 trucks and primarily transports regular Flatbed & Reefer loads, cement. Call 269-483-9634Based out of White Pigeon, Quadra Mfg owns 190 trucks and transports all kinds of freight. Call 269-672-5745Based out of Shelbyville, L Farms owns 328 trucks and primarily transports Fresh Produce. Call 989-635-4444Based out of Marlette, J & B Transport owns 388 trucks and primarily transports various metals such as Brass, Titanium, Copper, Iron, Logs, Poles, Beams, Lumber, Building Materials, Sand & Gardening supplies. Call 517-431-2695Based out of Tipton, N & L Farms owns 138 trucks and primarily transports Petroleum Gas & Natural Gas, Grain, Feed, Hay, Dry Van, Farm Supplies. Call 616-457-7418Based out of Jenison, K & J Express Ltd owns 183 trucks and transports all kinds of freight. Call 616-527-7611Based out of Gowen, S & C Transport Brokerage owns 402 trucks and transports all kinds of freight. Call 989-846-9259Based out of Standish, E J D Transport owns 913 trucks and primarily transports PETROLEUM PRODUCTS , Toxic Materials. Call 517-734-2129Based out of Rogers City, E H Tulgestka & Sons owns 396 trucks and primarily transports Logs, Poles, Beams, Lumber, Machinery, Oversized loads such as Farm Mining or Oilfield equipment, Grain, Feed, Hay. Call 517-542-2144Based out of Jonesville, D & B Transportation owns 241 trucks and primarily transports regular Flatbed & Reefer loads, various metals such as Brass, Titanium, Copper, Iron, Logs, Poles, Beams, Lumber, Machinery, Oversized loads such as Farm Mining or Oilfield equipment, Grain, Feed, Hay, BEDDING Gardening supplies. Call 616-626-8025Based out of Scotts, C & C Cartage owns 821 trucks and transports all kinds of freight. Call 313-451-1880Based out of Plymouth, C & H Trucking owns 198 trucks and transports all kinds of freight. Call 616-427-5339Based out of Bangor, D & B Consultants owns 220 trucks and primarily transports Car hauling.